SKU: 4006. Categories: Shop All ThinLine Products, Flexible Filly Horse Products, Dressage Equipment, Western Horse Tack, Horse And Rider Tack, Horse Boots. Tags: closed front horse boots, dressage horse boots, reining horse boots, splint horse boots. Wrap your horse in comfort with this lightweight breathable nonslip protective horse boot. These horse splint boots are great for horses and even better for owners. The low profile fit is only outdone by the ease of care for horse owners. Why is this boot lined with ThinLine? Our trademark open cell technology delivers impact protection in a wafer-thin breathable foam, perfect for a horse splint boot. ThinLine doesn’t compress. Pressure points; created from tendons, bones, splints or wind puffs, are gently shaped into the ThinLine memory which rebounds once it is off the horse. Also, an anti-microbial agent is infused into ThinLine allowing use on multiple horses. 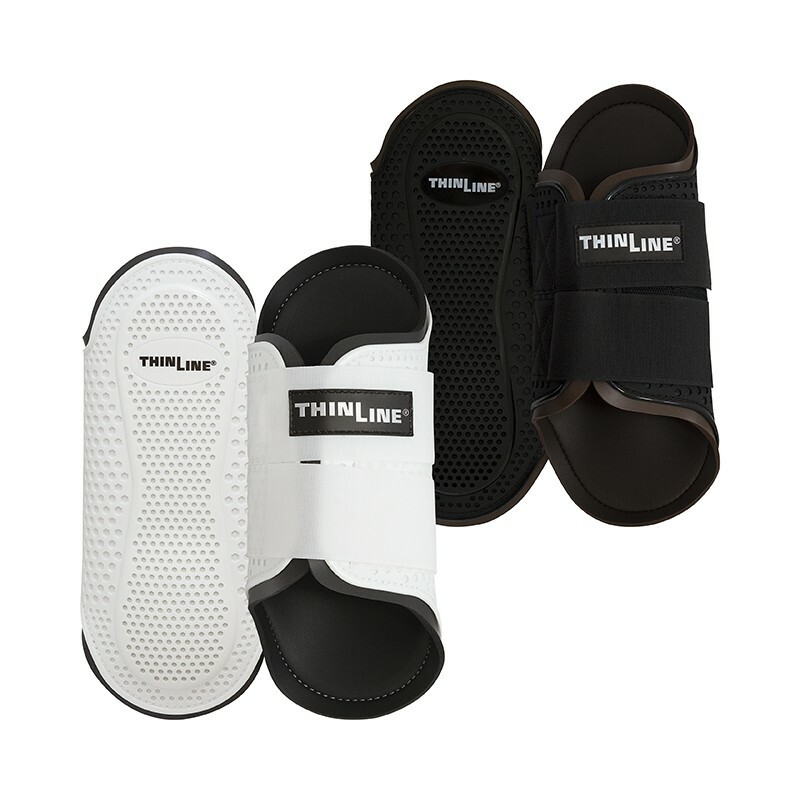 Finally, ThinLine foam does not absorb water or collect dirt which means boots stay in place and are easy to maintain. Pro Mesh is used for the protective outer layer of our closed front splint horse boots. Pro Mesh material acts like ‘flexible horse armor’ offering the ultimate combination of breathability with impact and abrasion protection as well as support and durability. Additionally, Pro Mesh is engineered in a way that reduces the amount of stitching and glue required during boot assembly. What is Pro Mesh Engineered Material? Pro Mesh material is RoHS and REACH compliant. It is directly injected into a strong but breathable fabric mesh. The materials bond and become ONE and will not separate. No toxic glues are used. It is extremely tough, strong and conforms to shape allowing it to outperform fabric or leather boots. Pro Mesh G3 was designed by SinoBlue specifically to make equestrian boots. It uses a honeycomb hex pattern that reduces weight plus offers an optimum mix of protection, air flow, strength, and flexibility. Designed to keep out grit and sand it helps guard against rubbing. Water resistant, strong and protective, this closed front splint horse boot is designed to deliver support with flexibility, thereby maximizing joint movement. Our technology focuses on equestrian leg protection needs. By combining materials in a special way, using state-of-the-art tooling design and injection techniques, synergy was attained between these materials. 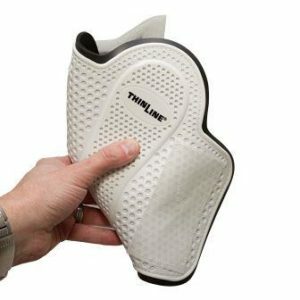 ThinLine Pro-Mesh, the most effective and durable horse boot on the market. Your Flexible Filly Boots come with a one year 100% replacement product warranty. 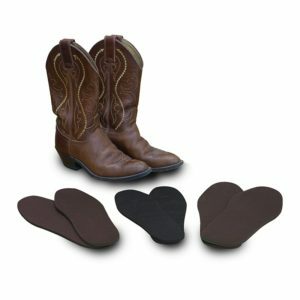 We recommend Flexible Filly boots for both riding and turnout. Flexible, the name itself describes our boot; Flexible Filly Closed Front Splint Boots. Lightweight: A boot weighs only 7 ounces, .2 kilograms. Medium and Large. Most horses will wear a medium for front boots and a large for hind boots. Please refer to our sizing chart below if you are interested in a full set. Available colors, White with Black ThinLine or Black with Dark Brown ThinLine. Sold in pairs, one for the left, one for the right. They are called Closed Front because they are, well, closed in the front. This does not mean they are only for front legs. Medium– 10″ tall and 10.5″ wide. Circumference: 9.5 inches end to end but will overlap for smaller bone. Large– measures 10.5″ tall and 11.5″ wide Circumference, 10.25 inches, end to end but will overlap for smaller bones and velcro will adjust for another .05 inch. Boots can be hosed or sponged off with water or wiped down with ThinLine Cleaners. They can be machine washed, any machine with no agitator, with a mild detergent. Hang boots to dry. Bleach the white ones by using a product such as soft scrub or soak them in a bucket with bleach. From Dutta Corp: “We LOVE these boots! They are effective, comfortable for the horses and easy to care for. Q Would these replace gallop boots? A Thank you for your question! Yes, these boots are incredibly lightweight and protective and are perfect for use in place of galloping boots. Q Can these boots be used for turnout? A Thank you for your question! These boots are lightweight, easy to clean, and do not absorb water, making them great for adding protection during turnout. Q I have an Irish Maxi Show Cob. While he is 16.1 he measures 13 3/4" around the circumference of his hind ankle bone. I am looking for soft protective boots such as yours. These soft splint boots seem perfect, however i'm afraid they would be too small. Do you have larger size? A Thank you for your question! These boots wrap around the foreleg directly above the fetlock, with a protective strike plate that dips down to cover the inside of the fetlock. We recommend measuring just above the fetlock for the width measurement. These boots come with a 30-day satisfaction guarantee, so feel free to give them a try! Q Hi. My horses fetlock circumference is 11.5” on front and 12” on rear. Should I get the larges for both? A Thank you for your question! Yes, considering your horse's measurements, the large is the correct size for both front and hind. Q You call the front boots. Can they be used in hind as well? A Thank you for your question! These boots are great for hinds as well as fronts. Most horses will wear a size up on their hinds. We recommend measuring to determine the best fit.